what do you believe? 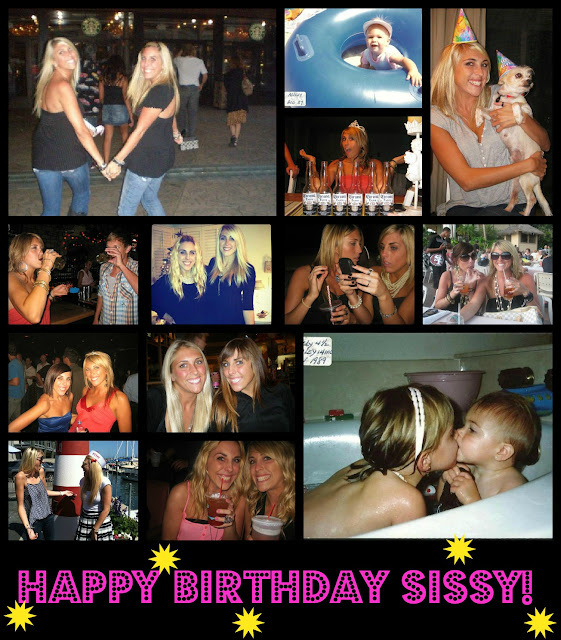 & big HAPPY BIRTHDAY to my sissy today! She's 24! ahhh i can't believe it! Where did time go?! I will always remember her as my baby little sister! love you ash! I agree with a lot on this list. Imperfections ARE beauty! "If you look closely at a tree you'll notice its knots and dead branches, just like our bodies. What we learn is that beauty and imperfection go together wonderfully." Matthew Fox, not Michael J Fox. My b.
Kelly! You look amazing in that picture - I love it! Gorgeous! I love the jealousy is the root of all evil, I believe that too! and I'm a messy hair believe too! :) Thanks to you! I believe that men have it made too. For real. um you girl, are beautiful. that photo looks fierce, and i love your shirt. i want to see the whole thing! This is fabulous! You'll be proud of me - I'm on day two of not washing my hair :) Haha! I love these posts floating around. Great list. :) I'm a new follower. Happy birthday to your sister! I totally agree about not knowing love until you have a dog! And that staying in bed when it's raining should be a law. How great would that be?! Love that pic of you by the way! Great list! Everything does happen for a reason. I totally agree. such a cute post! 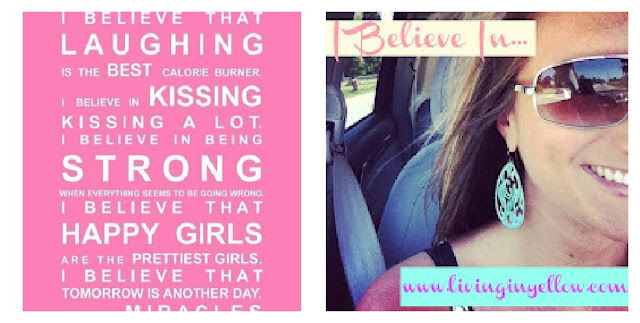 i love all of your "i believes" totally agree! Hi, I am your newest follower. Over from the blog hop. I love this post! Have a good night. I believe in pretty much all of these, which is more evidence that we are soulmates! I ALWAYS tell people that the word bored does not exist in my vocabulary! Wait...it's not a law that people should stay in bed and watch movies as much as possible every time it rains?? LOVE that pic of you!! That is my new fav pic of you. Absolutely gorgeous! Terima kasih artikelnya sangat membantu sekali mudah-mudahan artikel ini bermanfaat bagi semua.